Leeks are at their very best during the coldest months of the year, and though mine won’t be ready until early spring (they’re tucked up in bed overwintering as I type) the shops are full of these mellow UK grown alliums right now – just in time for festive entertaining. Sweet butter-softened leek and lightly smoked haddock are a match made in taste bud heaven. Perfect for a quietly impressive starter or light lunch with friends. Sustainable, non-dyed haddock from the fishmonger or counter will make all the difference. N.B. I’ve added a few nasturtium flowers for decoration as mine are still rollicking all over the garden. This is purely for appearances’ sake. Lightly flour a clean surface and roll out the pastry to the thickness of roughly a £1 coin. Cut 4 circles of pastry, using the tins as a template, 2cm wider than their circumference. Carefully line each tin, pressing the pastry into each flute/ dimple, and then pop them into the fridge to chill for 15mins or so. In a large heavy bottomed frying pan, melt the butter until golden and just beginning to brown. Add the leeks, white wine/ vodka, and turn up the heat for a few minutes. Add the stock and herbs, turn down the flame, then leave to cook down for 15mins or so, until the leeks are tender and the stock nearly all absorbed. Fish out the sprigs of herbs, then set to one side. Take the pastry-lined tart tins out of the fridge, prick the bases with a fork, line with baking paper, fill with baking beads/ uncooked rice, then pop in the oven for 15mins. Take them out, remove the paper and beans, then cook for a further 10mins until the pastry is lightly golden. Divide the leek mixture and haddock chunks evenly between the 4 tarts. In a small bowl, mix the crème fraiche, cheddar, chives and seasoning, then pour over the filled tarts until they’re full to the top and perilously close to spilling over. Pop the tarts onto a baking sheet and cook for 20mins until golden and starting to turn a darker brown in places. 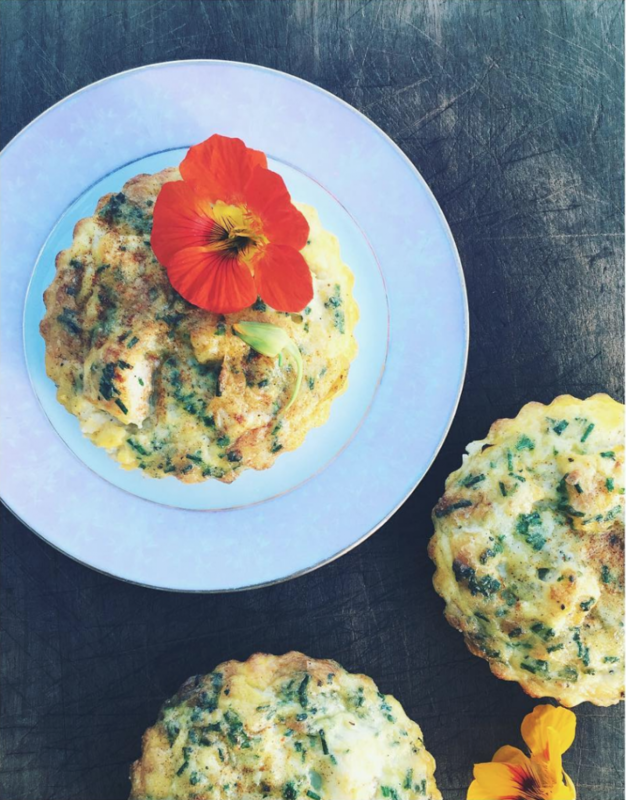 To finish, sprinkle with a few more chopped chives, a dusting of cayenne pepper/ smoke paprika, and a nasturtium flower per tart.